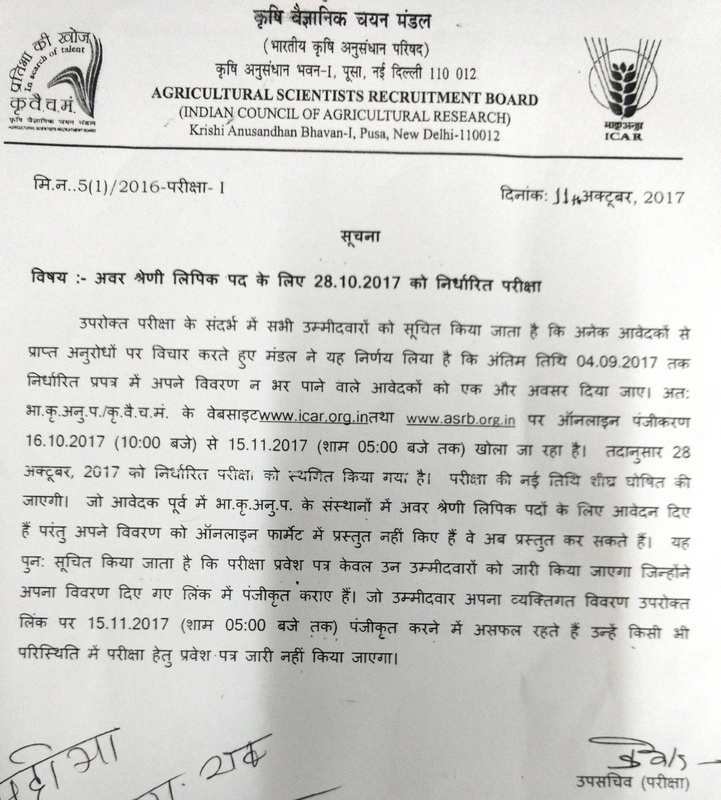 Notice regarding recruitment for the post of the LDCs in the Institutes of ICAR. Walk-in-interview on 12.04.2017 at 10:30 A.M for recruitment of RA / SRF / etc. Letter to Instt. for submitting proforma of preference by candidates.